Miami rallies for workers’ rights | Fight Back! 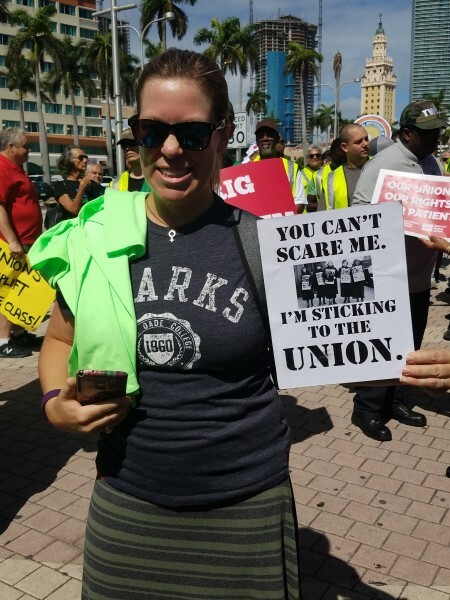 Miami, FL - Union members and leaders gathered at Bayfront Park in Miami Feb. 24, to rally for workers’ rights, immigrant rights and inter-union solidarity. Workers pledged to fight against anti-union laws and court cases. Unions in attendance included Broward Teacher Union, United Teachers of Dade, AFSCME Local 199, IBEW and SEIU 1991.